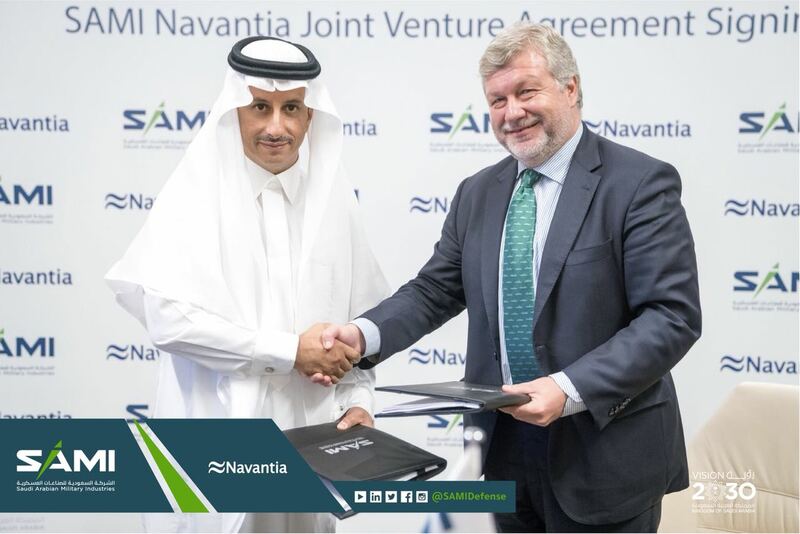 Saudi Arabian Military Industries (SAMI) and Navantia S.A. announced the launch of their joint venture, ‘SAMI Navantia Naval Industries,’ following the agreement signed by both parties to design and build 5 Avante 2200 corvettes with Combat Management System for the Ministry of Defense of Saudi Arabia. The realization of this deal came about during the visit of H.R.H. Prince Mohammed bin Salman bin Abdulaziz, Crown Prince, Vice President of the Council of Ministers, and Minister of Defense to the Spanish capital in April this year.